Fruit has always been in fashion for the haute and healthy. 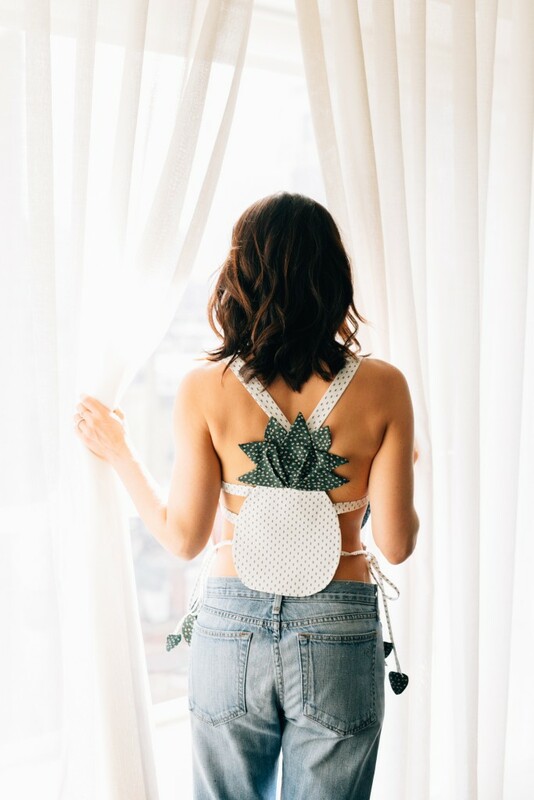 This season, not only can you eat your daily dose of fruit and veggies but you can wear them too! I love adding a bit of whimsy and color to my wardrobe and these pieces are a way to have fun with fashion while remaining sophisticated yet youthful. 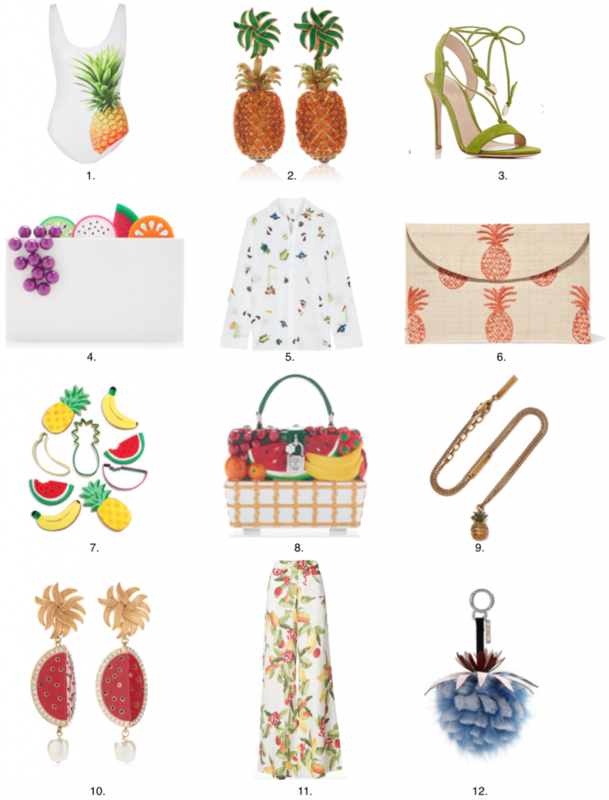 I always pine for pineapples but I excitedly welcome Dolce and Gabbana’s watermelon earrings as well as Rosie Assoulin’s salad bar embroidered shirt. Remember that fashion is about not taking oneself too seriously. Here are some hip and happy options to sweeten up your spring wardrobe.